When you're wondering what to give consider this. Nothing has more value than a keepsake gift. Why? Keepsake gifts are designed to be personalized. Keepsake gifts are often inscribed with the name of the recipient, dated or signed by hand. Such gifts are often so highly valued that they become family heirlooms. In addition, keepsakes are intimate, considerate, personal gifts that are meant to be cherished for all time. Keepsakes are also emotional memory triggers that convey the thought of commitment and love. That said, keepsakes get special treatment and are endeared as much as the giver will be when presenting such a timeless special token of love and appreciation. That's why Fimark offers 3 keepsakes books. Each book has a signature of ownership page as well as pages for notes and a journal section. Other keepsake features are unique to each book title. Family reunion planning at it's best. Everything you need to plan organize and manage a family reunion event. Scores of fun family activities. This complete family reunion event planning guide is a workbook and keepsake heirloom for generations to come. The reunion guide includes a timeline planner, checklists, budget list, themes and associated itineraries and dinner programs. Plan the wedding ceremony, reception, wedding night, honeymoon vacation, and homecoming after the honeymoon. As well as all associated engagement events in between. This beautifully rendered full-color Keepsake Wedding Planner puts everything you need at your fingertips to plan a beautiful and unforgettable wedding, reception, wedding night and honeymoon. as well as all associated events. The checklists, worksheets, and charts guide you through the process of planning and organizing the complete experience from engagement to the day you say "I do" and beyond.The wedding planner includes a wedding plan timeline checklist, contacts organizer, and guest list. 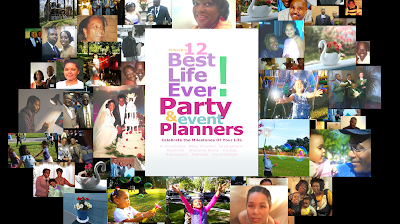 The 12 BEST LIFE EVER Party and Event Planners will help you plan, organize and manage family, class, corporate and community events with ease. These planning guides inspire bonding and connecting with your friends and loved ones in ways you may never have imagined. BEST LIFE EVER includes planning guides for celebrating baby showers, anniversaries, reunions, graduations, welcome homecoming, retirement, honorary dinners, community and corporate festivals and fairs. Includes cruise ship travel and party planner for families and larger groups. Because there is always something worth celebrating. 1 - 3 day shipping makes Fimark's keepsake event planning books the ideal keepsake gift option. It's GivingTuesday and that means it's time to send a few dollars to a movement, mission or cause you believe in. Most givers consider causes that have been a part of their lives for months or years such as giving to cancer, prostate or heart research. Others give to the local community agencies to finance shelters for the homeless. Still, Others are moved to contribute to #CrowdFunding causes from friends, coworkers, business associates, and relatives. One thing is certain, there is a great and dire need for your support. 1. $2.50 can buy a loaf of bread and feed a household for a day. 2. $5 can buy 2-3 gallons of gas for one food truck feed hundreds in one week. 3. 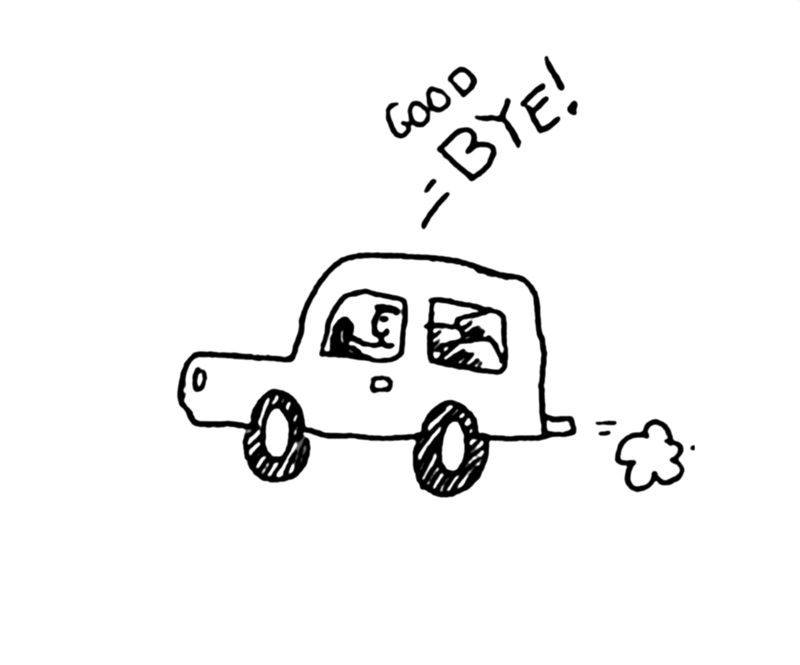 Donating one used car can net $1500 t0 $4000 and feed the homeless in one community for a month. 4. Donating a coat can save a life on a bitterly cold night. 6. Giving to shelters can help lower the crime rate, save on hospitalization resources, tax dollars for victims of crime and incarceration, maintain or improve property value and thus improve the economy overall. Giving is no small thing. And as they say, what goes around comes around exponentially. That said, make #GivingTuesday something really special for you and yours. Find out for yourself the truth behind these words... "There is more happiness in giving than in recieving"
It's all for the children. 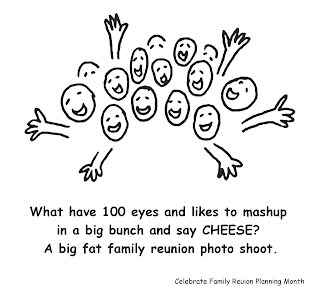 What have 100 eyes, likes to mashup in a big bunch and say CHEESE? A big fat family reunion photo shoot. You know you're getting old when you stoop to tie your shoes and wonder what else you can do while you're still down there. “I’m here to talk about our family, but you know what they say, 'If you can't say something nice...' so, thank you all for coming!" When your kids grandparents tell you to go easy on the kids like they were easy on you -it's not wisdom, age or experience. It's senility. What do you call it when you have to run around with one foot in a sack, a spoon with an egg in your hand, and an apple in your mouth? A family reunion relay race. 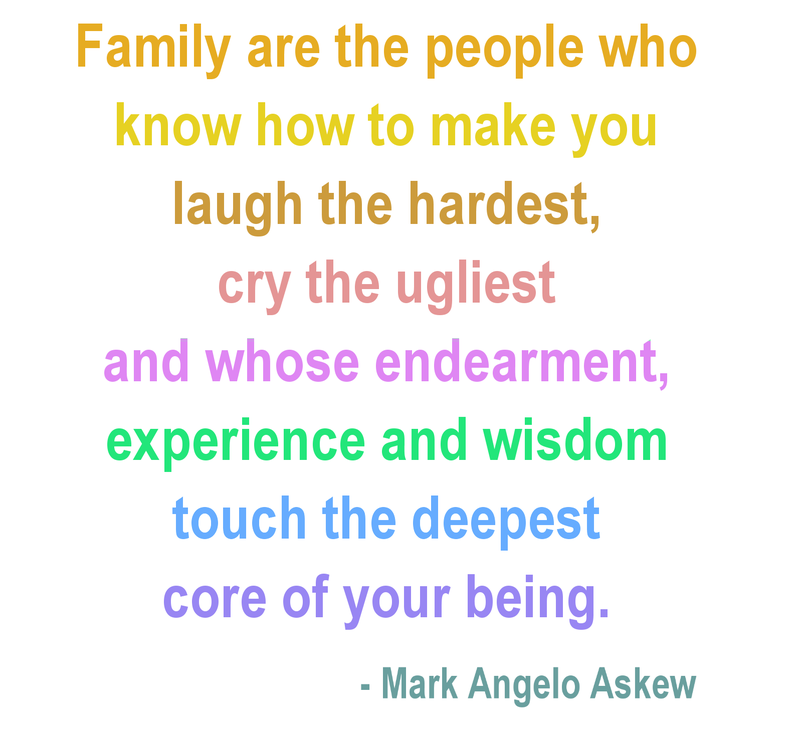 My family is like trail mix. You got your raisins, dates and a variety of nuts. The real reason grandparents like to stop to admire the flowers, gaze at the sky, and chat with the neighbors while taking a walk is not because they are sweet, kind and love nature. It's because if they didn't stop now and then they would run out of breath trying to keep up with their grandchildren. My grandfather walked for miles when he was 60... Now he's 97 years old and we still haven't found him yet. Grandparents can do amazing tricks their children cannot do. They can make their teeth disappear. They can make things look ten times bigger than they are. They can tell you things about your parents no one else knows. They can read your mind and tell you just what you are thinking before you go and do something really stupid. There goes another apple falling from the family tree. My parents finally confessed that I was adopted. They said, "But the adoption didn't work out, They brought you back." The real reason grandparents move to Florida is to escape babysitting. Where would we be if it weren't for family? Where's the best place to be when you skin your knee? than dangling from my family tree. 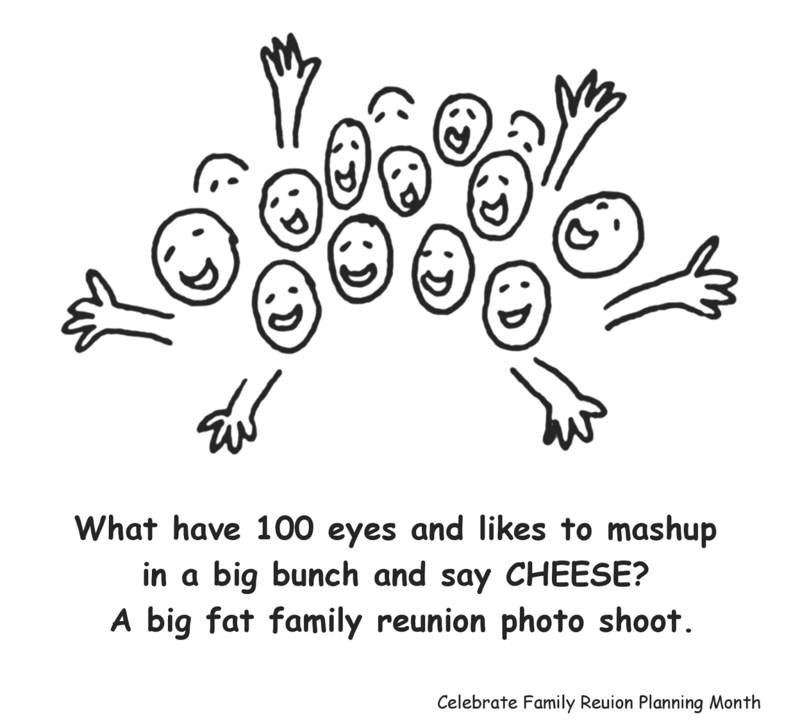 Happy Family Reunion Planning Month! Having family over for dinner this weekend? This is the ideal time of year to start planning your next family reunion. Swap photos, recipes, make a memory booklet, collect poems about family, plan a talent show, start writing and videoing your family history documentary. Get great family reunion event themes, slogans, booklet template, printables, game ideas and activities from Fimark's Family Reunion Planner web app and Fimark's Reunion Planning Keepsake Guidebook. We're celebrating Family Reunion Planning Month in a whole new way. We're offering free stuff throughout the month of November. First up, Fimark's Family Reunion Planner Keepsake Guidebook. Keepsake features include a signature of ownership page, journal, recipe compiler, an heirloom record, family tree worksheets, and other genealogy worksheets. 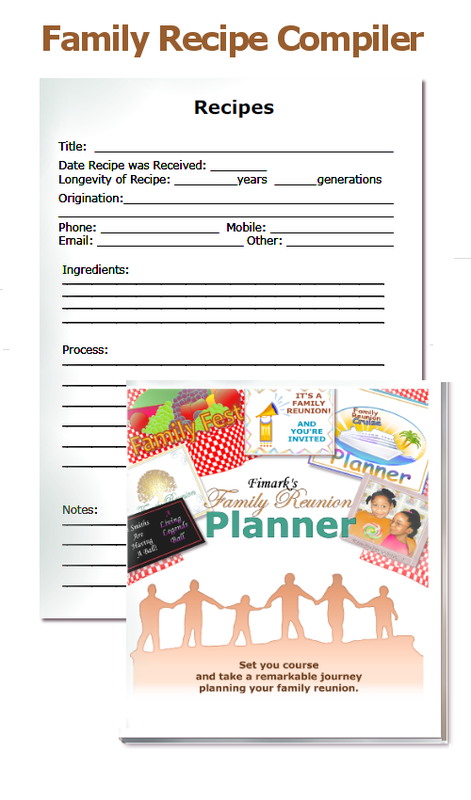 The reunion planning workbook includes a planning tutorial for individual planners, groups, and committees. There are five reunion theme planners each with recommended activities, itinerary, and luncheon/dinner programs. FREE GUIDEBOOKLike the keepsake guidebook? If you bought this 132-page paperback book within the last 4 years you're in for a real treat. Take 5 seconds to rate the book at Amazon.com. 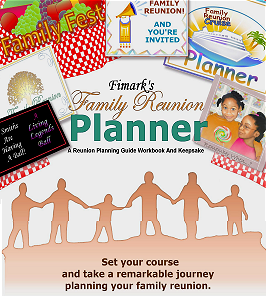 Once you do email us at fimarkhome@gmail.com and we'll send you the Family Reunion Planner ebook completely free. Our way of saying thanks for the likes and happy Family Reunion Planning Month! When it comes to fun family reunion vacations the sky's the limit. But planning one that's affordable yet fun can be quite a challenge. Not to worry. There are many ways to cut down the expense of family reunion vacations. Here are a number of money saving tips that can reduce costs up to 75%. 1. Book as many attendees as possible for deep discounts based on group rates. 2. Consider using your senior discount privileges where applicable. 5. Use travel agencies that are sponsored by the company a family member works for. Often family reunions cater to adults. But for your family reunion to be a fun and exciting venture for all it's important to plan a child-friendly event. Children get discounts almost as often and seniors so take a head count. Consider the what activities the children will enjoy. The first step is getting the children involved in the family reunion planning process. 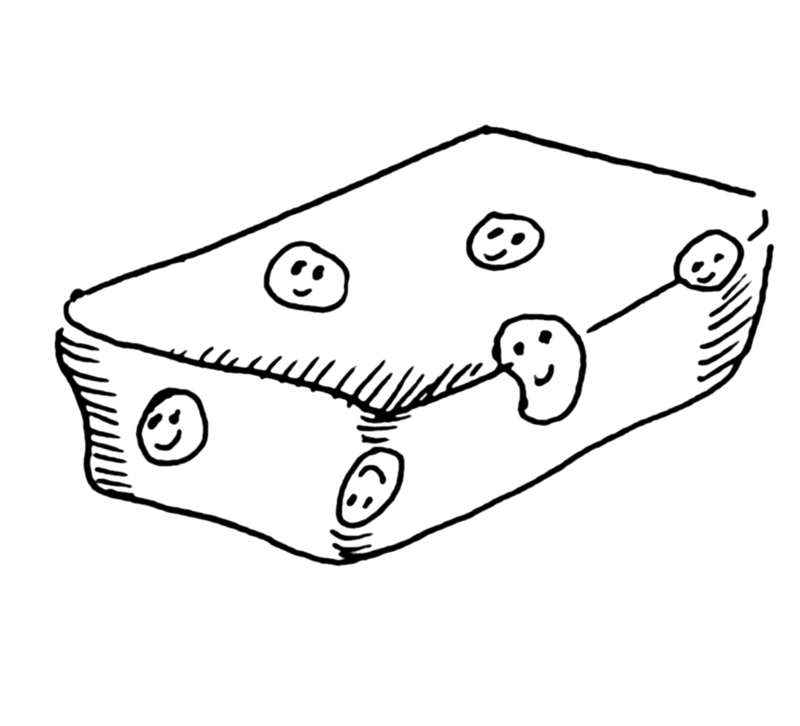 Ask the children to create a long list of possible activities all would enjoy. Family vacation resorts are the ideal destination for family reunion events. Best of all there are great price reductions for groups or 10, 20 or more. Everything you need to enjoy a relaxing reunion vacation is just a few steps away. Families can enjoy exotic food, cool down with a flavorful variety of refreshing drinks by sunny pools. For families that love the outdoors nothing could be better than breathing in the cool mountain air at a camp site, taking long hikes along mountain trails and getting cozy in a log cabin warmed by a natural log fire. You'll find great discounts in the fall. Nature lovers are captivated by mysterious caverns, fishing, bird watching, rock climbing and more. Families can take a nature tour by horseback and visit lakes and streams along the way. Luxury bus tours are one of the most inexpensive ways to travel while still enjoying a classy reunion event. What could be more exciting than taking a bus trip to a big city hotel with indoor malls and funky sidewalk shops awaiting your perusal. Visit trendy restaurants and try out a variety of cultural cuisine. Take in a Broadway show and top it all off with breakfast in bed the next morning before checkout. What kid would not enjoy the amazing rides, games, contests and competitions had at one of the popular theme parks, formerly known as amusement parks or water parks. Theme parks feature discount coupons for groups. Theme parks includes all kinds of amusements from roller coasters to outdoor stunt shows with a variety of themes. Want to make sure your kids have a great time? Take them to a theme park and they will be eternally grateful. Now exotic vacations on luxury cruise lines are the in thing for groups determined to relax, be pampered, served while enjoying an unforgettable family reunion. Best of all group packages, last minute booking and off season cruise travel can save you up to 75% off standard costs. Family business meetings can be held in cruise conference rooms and ball rooms. Some of the more popular cruise ships are listed below. So where to go? Whereever the ocean and seas can take you. Some of the more popular cruise destinations ideal for family reunions are listed below. There is ample space for everyone and it's a whole lot of fun for all ages. It's less work, less planning and a lot more time to enjoy the family. Well planned cruise vacations are economical with more fun and relaxation then ever before. Mark Askew is the founder of Fimark's Family Reunion Planner, a family reunion planning resource featuring just about everything needed to plan a family reunion with a variety of themes and destinations. Book Cheap Cruises Now at http://bookcheapcruises.fimark.net/ features event planning tips and access to discount family reunion cruise vacation packages. November is here with a bang. This month history will be made. But what about your family history? toward self-empowerment, the community, business and good spiritual health. Corporate identity is not true identity. 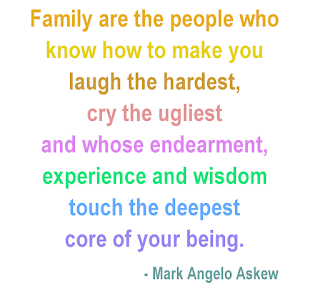 True identity begins and ends with family. It means knowing who you are, where you came from and establishing traditions that are far reaching and accomplish a purpose bigger than yourself. Your identity is in strength and wisdom of your belief system. Your family is not restricted to one race. We each have so many more fathers and mothers from so different parts of the world than we know. It is broad and embraces many cultures, walks of life and ethnic groups. Knowing this humbles us and opens us up to endless possibilities and unencumbered love. 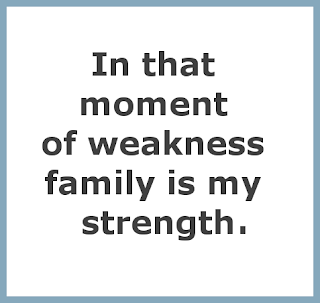 Share this with your family and watch them grow. November is Annual Family Reunion Planning Month. That said, now is the time to start planning your next memorable family reunion. 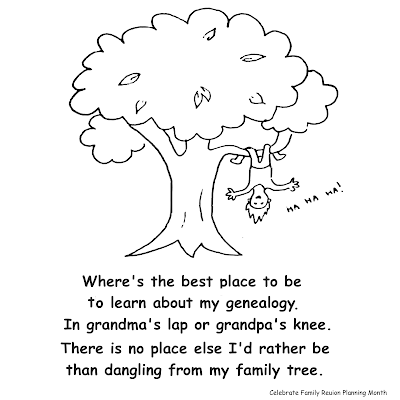 Consider a family genealogy presentations featuring DNA revealing reunion event. It will be a journey you will never forget. Wondering how to get started? 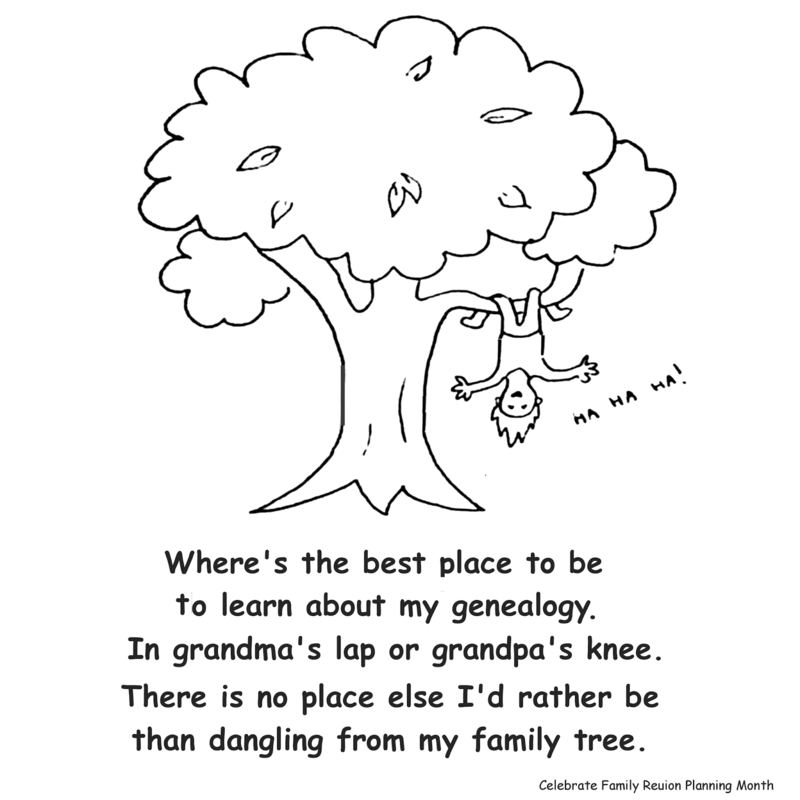 Read about the Genealogy themed family reunion program in Fimark's Family Reunion Planner guidebook. Fimark's Family Reunion Planner guidebook. 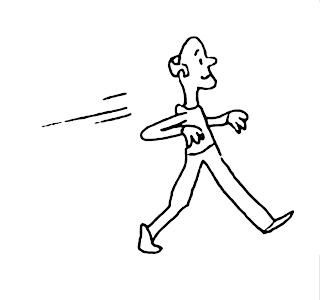 Walking is one of the healthiest activities you can take up. Especially outdoor walking while taking deep breaths of fresh air and basking in the sunlight. Vitamin D from the sun does amazing things for the brain, body, and overall state-of-mind. Feeling down? Take a walk. Need to loosen up and think. Take a walk. While you're at it, get the whole family to join you. Make it something special. Something more than just a family stroll. 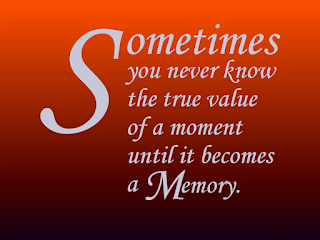 The fact is every family should experience at least one walk to remember in their lifetime. This is not just any walk. It's a walk through the lives of one, two, or more generations of the family. It's called, The Walk of Your Life. The Walk of Your Life is about telling a story rich with details you can see, hear, touch and feel. Each story consists of a walk through a town, city, state or country with a map in hand While visiting specific locations marked on the map a written story is told about family members activity on location while walking from one spot to the other. Too better understand the impact of such a walk I recommend following a family on such a journey. The movie is entitled "We bought a Zoo". A true story about a family that had a dire need to connect, so they did something rather odd. They bought a zoo. Learning to work together they found a way to mend their lives and recover by trying to find their place in this new life of their own choosing. Finally, the children of this young family are brought full circle as they walk through a restaurant and hear a touching story of how their father and mother met and fell in love. 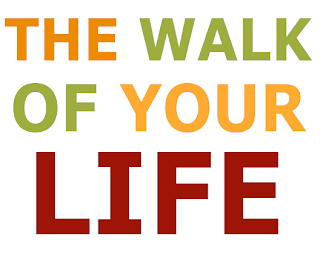 The Walk of Your Life gives kids a fresh opportunity to connect or reconnect with family in a way they may never have imagined. It's an opportunity to merge the present with the past and explain how the relationship of their parents or grandparents came to be. It helps them draw closer to their family while hearing their story brought to life in a way they never before experienced. It's like opening a book rich with family history, self-discovery, nostalgia, and felicity. The Walk of Your Life may be in the form of a guided tour of the places in town that touched the lives of the family in very special ways. 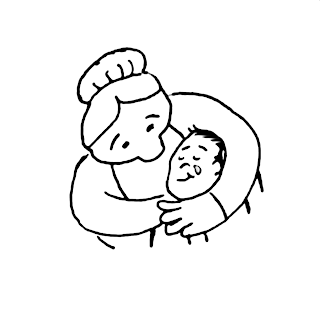 Perhaps a walk that follows the weekly routine of the grandparents and parents in the family. Draw a map of all the spots you or your parents frequented. Next, locate the schools they attended. The one spot they met. Now locate fond places they liked to frequent and things they did while there. 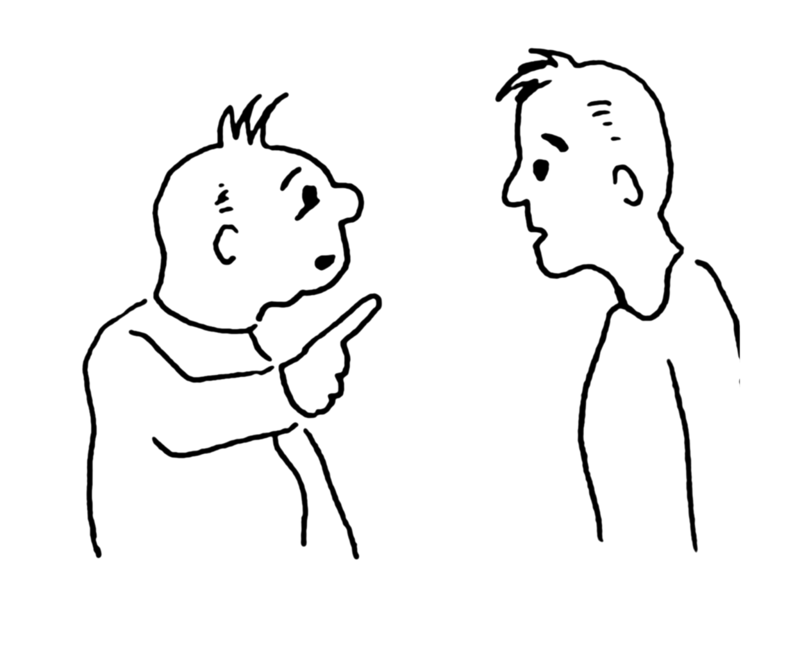 Tell a story about a specific experience that occurred then and there. 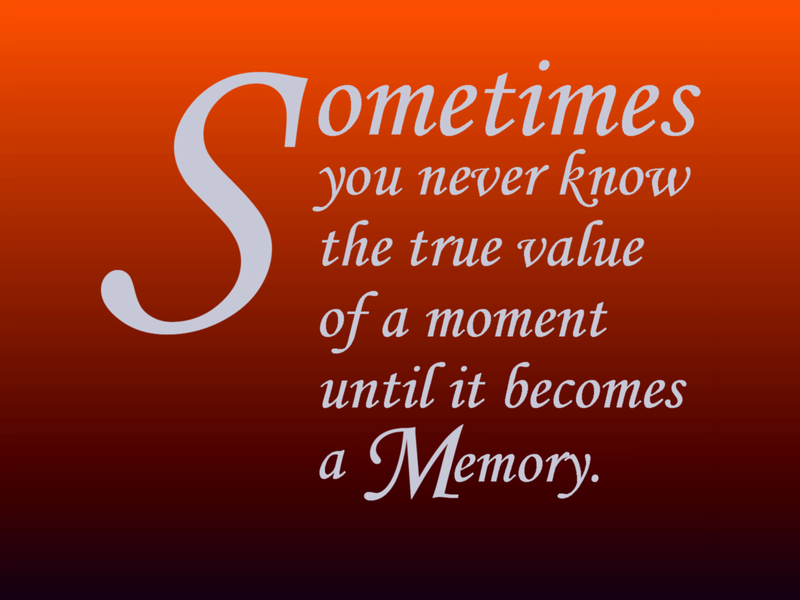 Stories that help define that moment in time. Recreate the atmosphere, sounds, smells, activities, feelings and nostalgia of the times spent there. Talk about how the relationship grew stronger, how and why feeling ran deeper and ascended to new levels. Enter the store, parlor or office. Explain what took place there and how that experience defined the course their lives. Perhaps it was a bookstore or mom and pop shop with the best pizza in town sizzling in the oven. Freshly baked sweet cakes and cookies that melt in your mouth. A table in the corner of a diner where mom was asked out on the first date. A photo booth where dad and mom took their first silly photo together. A water fountain where mom and dad sat, talked and fell in love. The place they were wed. The first apartment they lived in. The window of a room in the house in which the children were conceived and so on. Planning a family reunion? Fimark's Family Reunion Planner Social web app. Everything you need to plan a wonderful family reunion. Planning a party? Get the Best Life Ever Party Planner..
Pow! Crack! Rumble! The sound of a powerful electrical storm overhead often signals dread. And yet we love to watch it from a safe distance. But there comes a time when you want and need it to stop. It's October. The 10th month of the year. The atmospheric and political climate is turbulent. Lord knows we could all use some really good news. But how do you fight off a storm? Imagine a storm that with every crack and rumble electrifies everything and everyone it touches for good. Healing, uniting, comforting and providing sustenance, covering and shelter for billions. 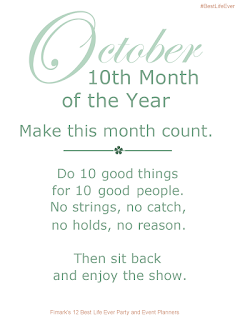 Inspired by the old adage "There is more happiness in giving than in receiving," and the 10th month of October infographic published in our previous article October Awareness Observances and Factoids, a new 10GoodThings October Awareness Project movement has evolved that can electrify a world of people to do good for all. A 10th-month movement worthy of going totally and completely viral. We want to create a powerful counter storm of good and considerate acts that crosses lines of race, gender, creed, ethnicity and all national boundaries with acts that counter the storm of division, dissension, depression and desperation that has marked this month unlike any other time in our history. How can you create this storm of good? By doing 10 good things for 10 good people. 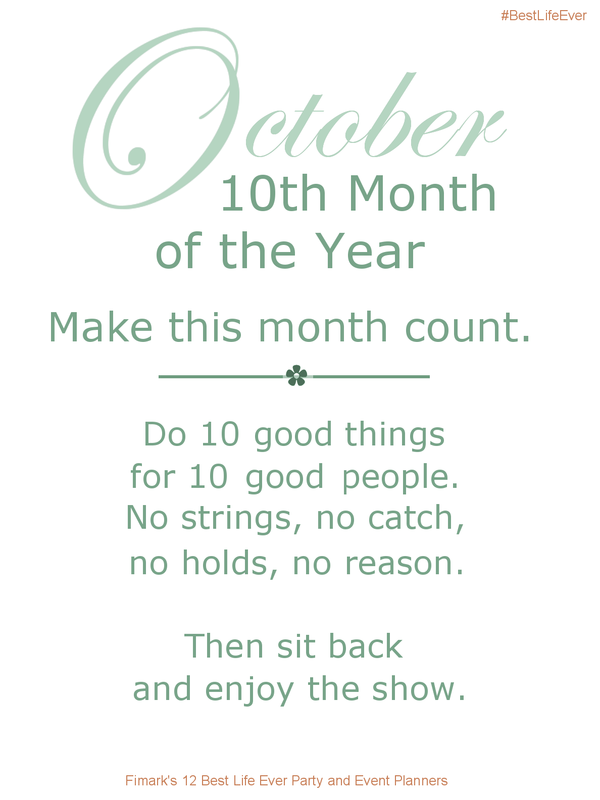 During the month of October add hashtag #10GoodThings to a new or already viral video of someone performing one of 10 good things, acts of personal consideration that impacts the lives of the receiver for good and turns things around for victims of disaster, prejudice, and crime. Acts that help them see they are not forgotten, and help the world to see just how good people from all walks of life aspire to be. There is always something historic happening. Milestones that will be etched on the walls of observance for centuries to comes. Consider these great factoids regarding the month of October. The birth flower for October is the calendula. The birthstones for October are the tourmaline and the opal. It was October 12, 1492, Christopher Columbus landed in America. Centuries later on October 7, 1816, the Washington (first double-decked steamboat) arrived at New Orleans. October 31, 1864, marked the day Nevada became the 36th state of the United States. Decades later on October 1, 1896, free rural delivery of mail started in the United States. The first presidential telecast address from the White House occurred on October 5, 1947, by Harry S. Truman. On October 4, 1957, the first artificial satellite was launched by the Soviet Union. 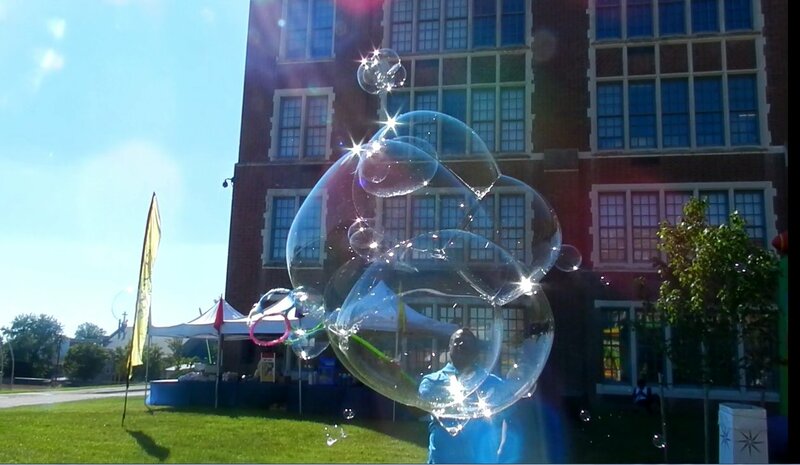 October climate conditions make it the ideal month for outdoor/indoor festivals and fairs. It's a good month to take nature hikes and collect dried foliage for reefs, dried flower arrangements, and other kinds of home decor. November is just around the corner. It's time to get a head start taking advantage of November observances. Look over and share this November Monthy Observances List and consider how you can show awareness and support of important social, cultural and health issues in the weeks to come. A great way to share in the observance is to look up award-winning documentaries on the subject. Make a point to watch one documentary a day. Another is to attend festivals, fairs and discussion groups that include presentations and activities based on the observance. Buy and read a book based on the observance. Watch a YouTube video featuring observance tips and ideas. Introduced by Fimark Family Event Planners Group, Annual Family Reunion Planning Months is another November observance. Its objective is to encourage meaningful family interaction that empowers our children and gives them identity and greater support on the family level with a view to inspiring achievement and growth in all areas of life. This month enables reunion planners to start planning the next family reunion well in advance. "Generations pass like leaves fall from our family tree. the strength and experience of those who went before." That's what family reunions are really about. Benefiting from the strength and experience of those who came before us. This is the time of year to start your family reunion projects and bind family bonds closer than ever before. 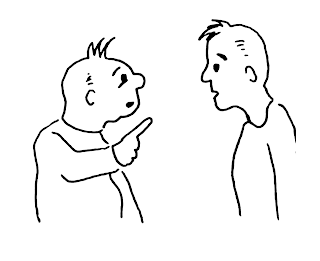 How can you get every family member involved? Start at home. 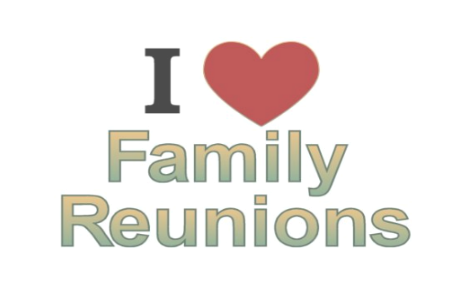 Ask each household member for suggestions about fun, meaningful, and exciting family reunion activities. Hold a trial run of suggested activities to test the fun factor. 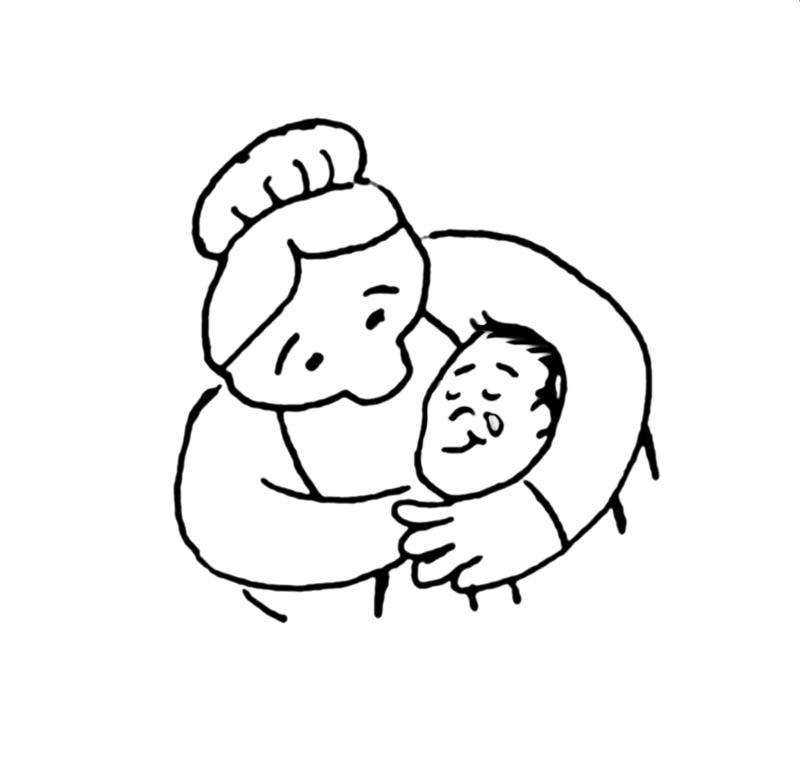 Start interviews and collect poems, recipes and amazing stories as told by each member of the family three or more generations deep. Make a video family history documentary. Include photos, videos, heirlooms, music and stories unique to the tribe. Most of all, enjoy Family Reunion Planning Month. The early bird gets the worm! If you want to have a memorable family reunion that folks will be talking about years to come, start planning now. Many planners make use of fall and winter observances and holidays to announce the event, rally the family, take and collect photos and video in preparation for the event. That's why we selected November as annual Family Reunion Planning Month. Watch this video and get a head start planning your most memorable family reunion. Looking for great activity ideas, planning tips, event organization, and management worksheets? 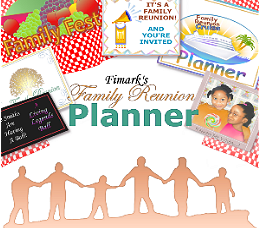 Fimark's Family Reunion Planner book and Fimark's Family Reunion Social web app has that and more. Get details and quick access from this blog's Profiles section. Seeing good for our hard work. That feeling of accomplishment and purpose when you've helped someone reach their goal. Doing what my family loves to do every day of the week. Making my wife smile like she did that very first time we met. Hearing my granddaughter tell me that what I do is so cool! Seeing children and their parents ecstatic with awe." It's one thing say, "The is the best day ever!" But to say, "This is the best life ever!" is amazing. I invite you to read an excerpt from my Best Life Ever. page and find out when my best life ever began and those I share it with. 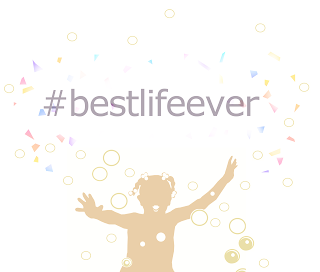 Mark and Brenda Askew began their #bestlifeever on October 25, 1980. Since then Fall has had a special nostalgic meaning to them. Warm, golden oak trees dance in the wind and hug the sky. blowing crimson carpets of leaves onto a path of their anniversary day stroll. Baked pumpkin pie, cinnamon swirl in hot streaming mugs of nutmeg and her warm smile. What a smile. After 36 years making the best memories. I believe the best life is yet to come." Enjoy Mark's new event planning book Best Life Ever Party and Event Planner. Share the joy of celebrating accomplishment, purpose and giving with your loved ones and live the best life ever. 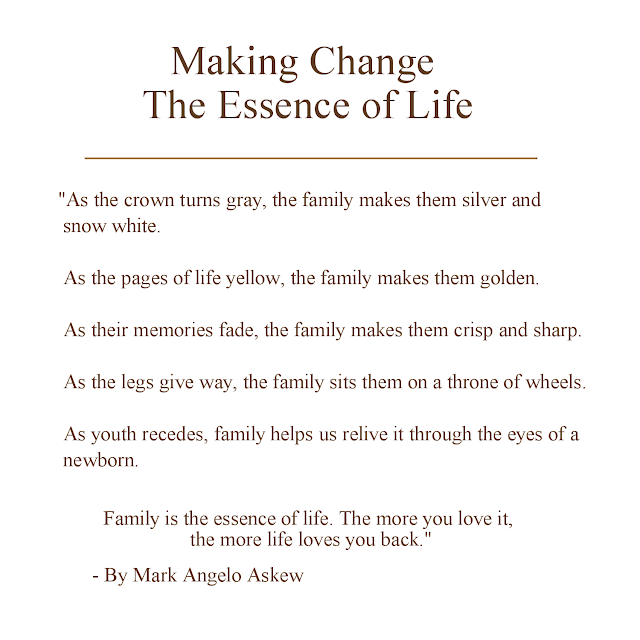 Author Mark Angelo Askew and the Fimark company are putting a new keepsake event planning guide on the market. 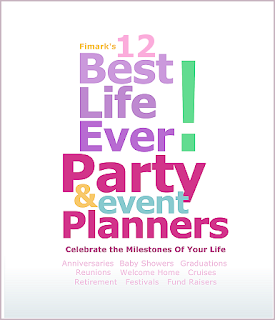 Fimark's 12 Best Life Ever Party and Event Planner. The new family, community, and corporate event planning guide will be released to the public this month. Mark says, "Within the next two days, you will have access to our best event planner ever!" The following interview gives readers a sneak peek into the content of the much-anticipated event planner. What's the meaning behind the title of the party planner guidebook? 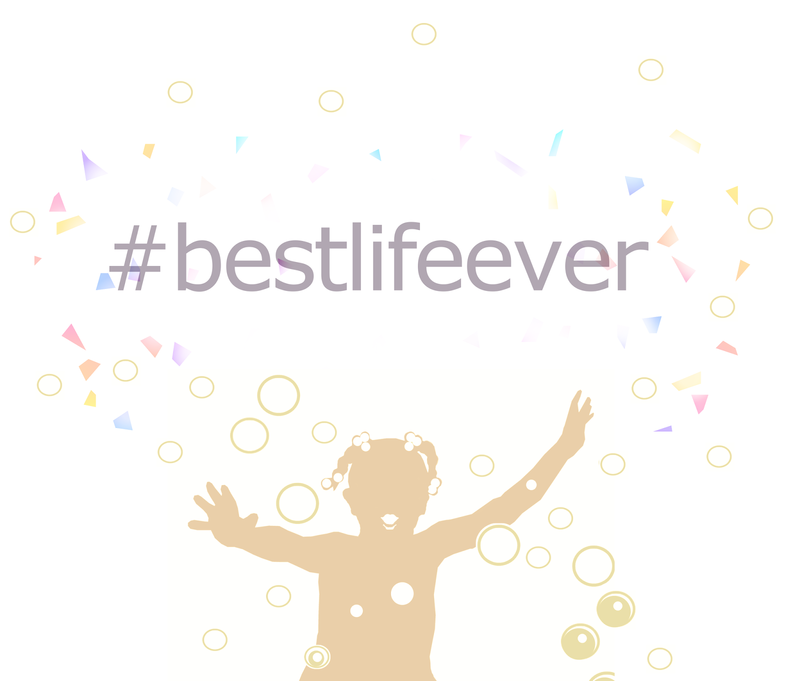 Mark - The full title Fimark's 12 Best Life Ever Party and Event Planner is designed to inspire us to make the most of those milestone moments in the life of a growing family. That said, the party planner is organized to walk through life's celebrations from anniversaries to baby showers, preteen and teen parties, as well as graduation, welcome home, reunions and retirement parties. But they also cover large group events like cruises, festivals, and fairs. It's wonderful that life always gives us something good to celebrate. As we advance to becoming host to new life, be it the birth of a baby or adoption, we learn to become a mentor, teacher, and nurturer. Helping our loved ones experience life at it's best. What are some practical tools found in the Best Life party planner? Mark - The timeline planner and event checklists are our trademark prime feature. In addition, there are the departmental worksheets and the Itinerary worksheet, These help the planner to organize and manage the affair. The meals, menu and recipe organizer for folks who will cook or cater. But there are other features unique to this book. What makes The Best Life party planner unique? Mark - The features that distinguish this event planner over others is the keepsake features. These include the journal for recording everything from brainstorming activity ideas to experiences while planning, tips and resources and new things learned. Another unique feature is the party area inspection checklist. This helps the host/hostess ascertain that everything is up and running and those little touches have not been overlooked. In addition, there are plenty of decoration tips to help inspire creative ideas to make the event more personable for the guest(s) of honor. What events are covered in this event guide? Mark - While the book covers 12 events it can be used for many others in the family, community and on the corporate level events. For example, the party planner is organized to walk through life's celebrations from Anniversaries to baby showers, preteen and teen parties, as well as graduation, welcome home, reunions and retirement parties. But they also cover large group events like cruises, festivals, and fairs. Are there any tips or suggestions you would like to share to help readers make the most of the Best Life event planning guide? 1. If you're using the printed version, use colored pencils to underline applicable tips or a highlighter to mark passages you intend to use as well as action items. 2. There is plenty of space for note taking and adding clippings. Use a pencil for notes and start the journal as soon as you get your hands on the keepsake planner. 3. If you're using the e-book version in PDF format make use of the note taking tools provided. 4. Also keep in mind that the PDF version enables you to print out the worksheets for distribution. 5. A companion spreadsheet planner and web app will be available this month as well. The PDF version will link to the online access page. 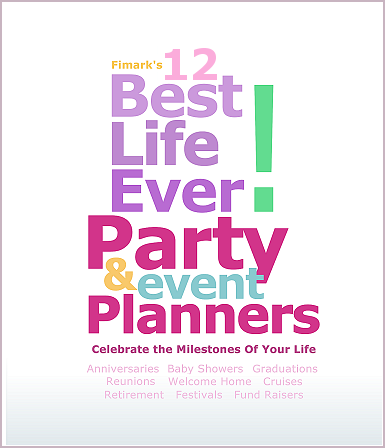 Fimark's 12 Best Life Ever Party and Event Planners keepsake book will be available for online purchase at Walmart Stores, Amazon.com and Barnes and Noble. 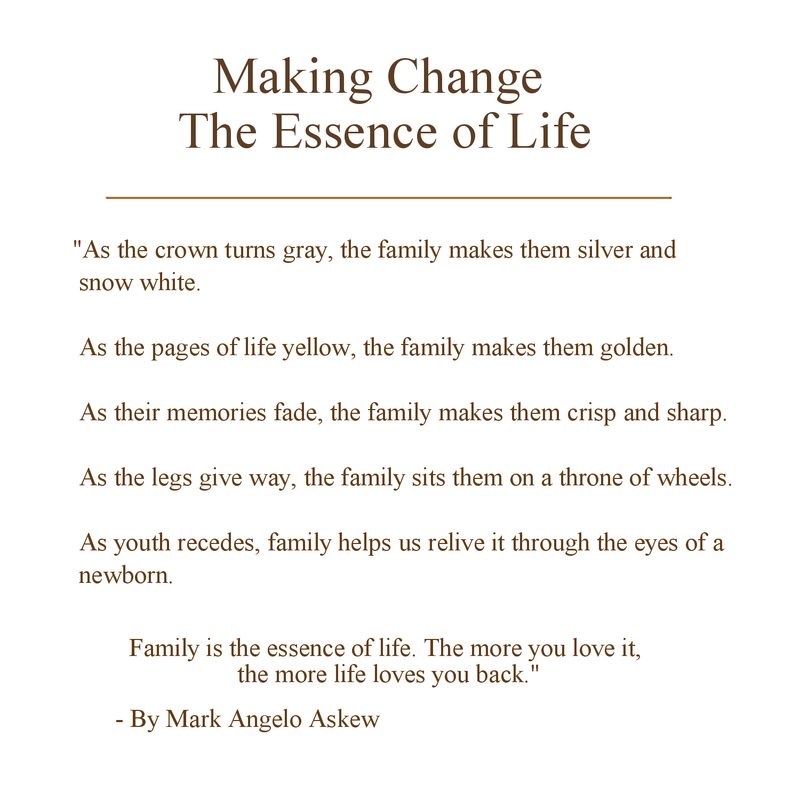 Mark Angelo Askew talks about the publishing of his latest two books, "12 Best Life Ever! 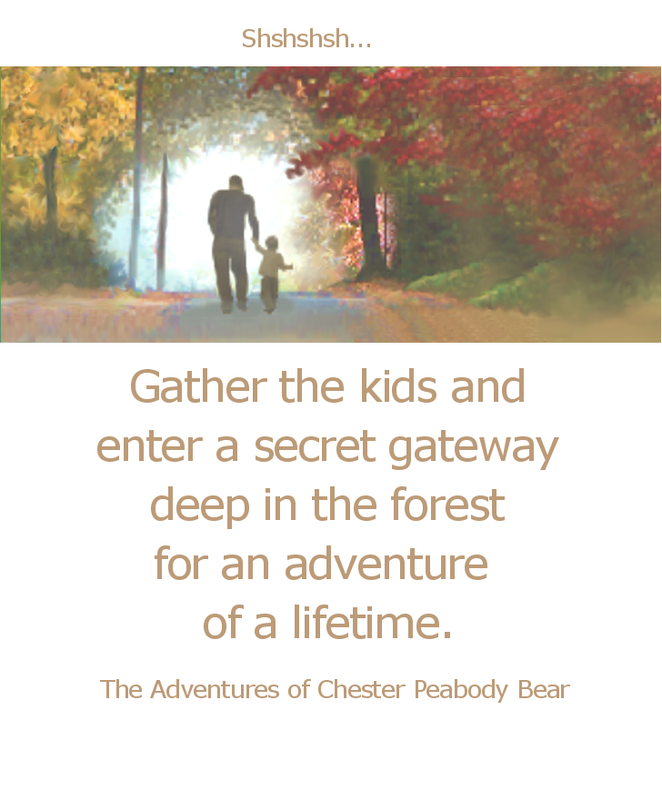 Party and Event Planners", and a children's book, "The Adventures of Chester Peabody Bear", which begins inside an Exploratorium built on a high hill in the center of a great forest. Mark - I've been an indie author for 5 years. My first indie-authored book was about family reunion event planning. Something I love to do to this day. As a family man, artist, craftsman, musician, poet and nature observer, I love embracing life and seeing it at it's best. Is this the reason for wanting to run an Exploratorium for kids? Mark - Partly. I was raised in a good racial mix of northern Connecticutian art and festival culture as well as Southern Maryland hospitality. I loved the contemplative serene marine life of both worlds. The long walks on the beach. The magnificent sunset sky shows. A good book to read. Family and friends always nearby. Sounds like you had the ideal childhood? I would like to say, yes. But as with all children, innocence abruptly comes to an end. For me, it was when I learned about the mass stockpiling of arms. While I believe the authorities stand in place for important security good reasons, I became concerned about the easing of international, political and racial tensions. Later I learned that the best way to send a message of peace and goodwill is by allowing people to experience it for themselves. To shut out the bickering world, see, hear and feel a hushabye deep within. Creating living imagery of happy children frolicking among floating iridescent vesicles. A moment that touches our core, where our purest joy and childhood innocence still resides and never really ever goes away. Once we sense it our principles and priorities are suddenly transformed. Everyone present is a part of this living art and therefore a part of the message. 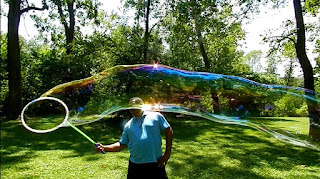 Now and then I will venture out to a park or reservoir and put on a free floating iridescent vesicle art show. In the evening it becomes a magical light show. crowds form. People lay on blankets. The child in us is rediscovered, mesmerized and very much entertained. The message of peace, community, nurturing and joy is spread without a word spoken. An Exploratorium would be the ideal setting to recreate magical moments like these. What dream do you hope will come true in your lifetime? Mark - "Two things. World peace. It's not a dream to me. It's a hope and a reality. I know this will come true soon. It is inevitable. There will be interventions along the way that make this a certainty. We are on a path toward it. It is written in the Bible canon manuscripts and in our genetic makeup. We are on a collision course with this reality. It is both of our own making and that by Design. We fight it, seemingly prolonging it but it will come to fruition to mend, heal, love, and unify like no other time in history." And what of the other Dream? Mark - "The other dream is also a reality in the making. I am presently working with over 28 children in the arts and entertainment field. Our experiences have deeply impacted them and their families for good. I'm seeing something more than silliness and laughter. Another way of sparking deep joy, happiness, purpose and solidarity, the building blocks of meaningful and lasting relationships. The part that I hope to be a dream come true is housed in the story I recently wrote and illustrated. It's about a bear who builds an exploratorium. After he completed it, the very next day children from miles around come in bus loads to enjoy the inventions on display and hear stories about adventures exploring." Tell us more about your Exploratorium Dream? Mark - "It's much like the Exploratorium in my new book, "The Adventures of Chester Peabody Bear In Mural Land." Chester, an explorer and master inventor carries around a bag of inventions when out on expedition. He entertains children from around the world at his Exploratorium home high up in a giant oak tree. The exploratorium as many displays of inventions and secrets of the forest. It also has a high power rotary telescope that can zoom in on the tiniest objects in the forest, or zoom out and view the entire forest in one panoramic sweep by day and peer into the galaxy at night. I am spearheading a crowdfunding campaign to fund the acquisition of a building that would serve a children's Exploratorium, complete with window room, rotation telescope, high powered microscope, storybook corner, movie theater, arts and craft studio, playhouse and playground where kids can come after school and on weekends to read books, watch educational how-to videos, build robots and enjoy fascinating sky shows. There will be special shows at different times of the day and week. Floating iridescent vesicle shows are our specialty and highlight of the day. 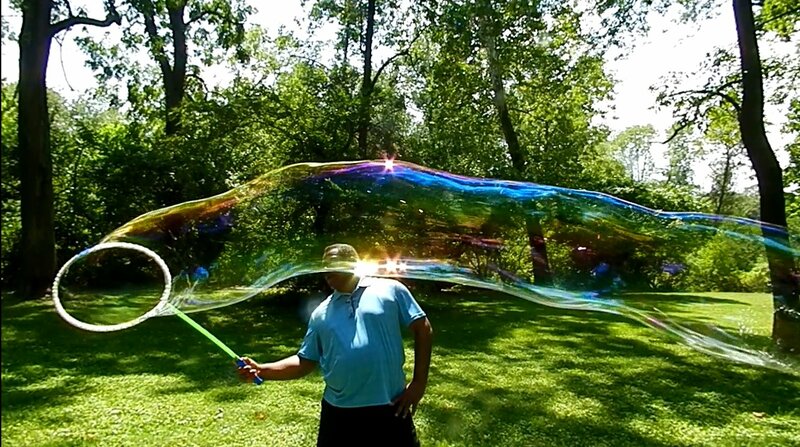 Children will learn the art and science of bubble-ology. Flying shows will include building projects where kids make real flying machines. Theater quality plays and cinema enable children to participate in movie script writing and playwrighting for theater performances. Children will also learn how to compose and record music, sing in a chorus and make videos of their experiences for a new online entertainment channel for the family by the family." A structure of that caliber could cost hundreds of thousands of dollars. How do you plan to fund such a project? Mark - "I don't believe in getting into debt. So that's not an option. That said, the building would have to be bequeathed or willed or granted or funded by supporters. I'm always open to creative funding ideas. Who knows a bestseller and crowdfunding may be all that's needed to make the dream a reality. 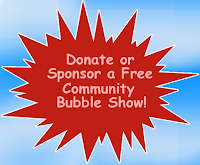 For learn how to support Fimark's Family Entertainment Network Channel and the Children's Exploratorium project go to https://myevent.com/chesterp. Do you have a serious side? One that addresses the realities of this world? Mark - "While I enjoyed moments of pure silliness in puppetry, I was very serious about preserving peace, family bonds and enjoying the beauty of the world around me. 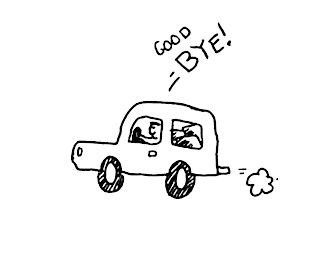 That message was subconsciously sketched in each of my drawings and paintings. Inspiring people to greater good, the love of family and creation was always the underlying message in his work, even to this day. 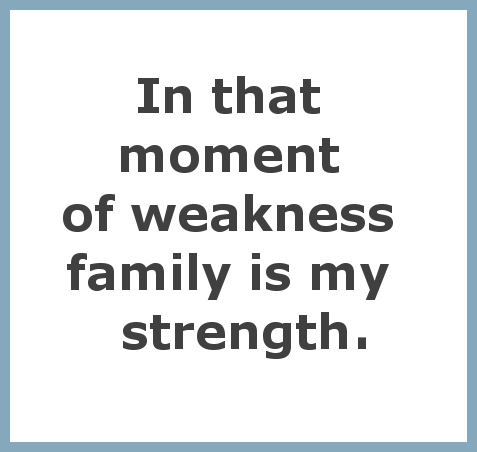 When mark began reading inspirational thoughts, proverbs, and motivational poetry, he saw a vehicle that could help deliver a message about the power of applying wholesome family values in the life of thousands of readers. Was your artwork as a child ever put on exhibit? Mark - "I remember being invited by my art teacher to hang some of my work on the walls of the elementary school portable building. By weeks end I had over 50 drawings on display, transforming both the portable and the entire three-floor adjacent building into an art gallery, filling every bit of wall space I could find. Later, in high school, I won two Scholarships. The Suburban Trust Bank Scholarship and a NAACP Scholarship award." So you like to draw. 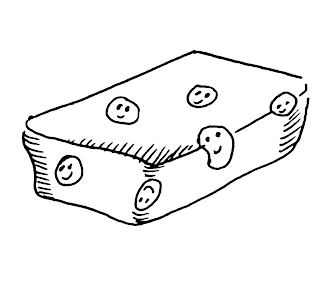 What drawings to you remember creating as a kid? Mark - "The first cartoon character I created was called Winky. A floppy eared dog who was dignified with being the only canine member of a neighborhood kids clubs. Entertaining, making people laugh and smile came easy through my art. But I especially like encouraging families to get up off the couch come together and entertain themselves. That sentiment is reflected in my next book soon to be released. "Best Life Ever - Party And Event Planners. It includes 12 colorful and complete party planners for all times of life from 1st Anniversaries to Baby showers. From Preteen to Teen parties. From Graduation to 50th Anniversaries and Retirements parties with other events in between." In your 30's you began writing speeches, public speaking before audiences of 1000-5000 and putting on family-themed events. When did you start writing books? 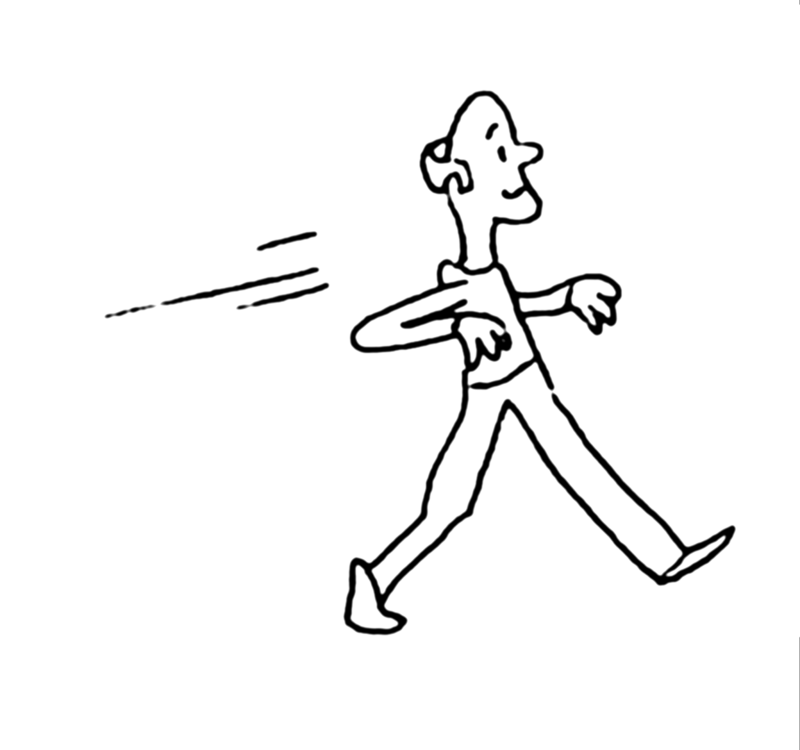 Mark - "I decided that by the time I reached my 50th birthday I would settle down to write and illustrate my first book. Since then I have written and published several books as an indie author. It's one of the most fulfilling things I've ever done. I hope to write many more books #PoweredByIndie and hopefully spark a smile, inspire a hug, and touch a heart for good." What dreams do you hope will come true in your lifetime?